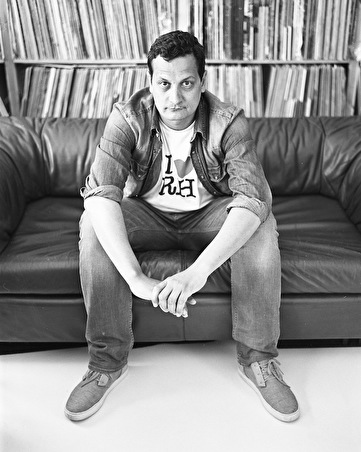 Amsterdam's Rush Hour founder Antal is hugely versatile DJ that can wave together house and techno or Afro and disco just as ably. He's been doing it since 1996 and has done so from the States to Australia, Europe to Asia at the same time as digging deep into many musical forms away from the dance. For those in the know, Rush Hour - the label he runs with a close group of key people - is a faultless record label and cherished store. As well as releasing the most exciting new music, the label is famed for its on-point re-issues of forgotten old classics whilst the shop stocks records bought on crate digging trips around the world. As a DJ and 'musicologist', there are few more serious than Antal. Trying to sum up the musical world of the Rush Hour founder with a few loose signifiers like house or techno would be futile. Sure, everyone in the industry claims to have been music obsessives since youth, but few have taken it as far as this Dutchman. As a DJ who prefers proper tools like E&S or Rane rotary mixers and Dope Real isolators, since 1996 he has played all across Europe, Australia, Asia and both North and South America. Unlike many, though, he has a wealth and depth of music to call on that is so vast you never quite know what you are going to get: he is as comfortable spinning Chicago and Detroit influenced house as he is rare Afro funk, forgotten disco and everything in between. Of course, Antal also runs the mighty Rush Hour Records in Amsterdam with a close group of hard working people. It's a vast empire that encompasses a reliable distribution wing, sub label Kindred Spirits as well as a much-loved record store chock full of vinyl bought during on-going crate digging trips around the world. The label, meanwhile, releases house and techno from the vanguard at the same time as re-issuing long forgotten classics that serve to educate whole new generations about what has gone before. You could say Antal himself serves the same purpose when DJing.